"One of the endearing values that I have learnt from your rides is the sense of cooperation and support that comes from everyone who attends your rides. Being a recipient as an abject learner trail rider some 5 years ago to one I feel is just now becoming competent. I believe that this great spirit of comaradery and adventure has been promoted over the years by the great personal support and encouragement that you both give your riders." -Kevan Wong - Keen motorcyclist - NZ and overseas. "I like you kiwis you're good eggs! You don't take the piss as much as the Aussies. And I know Tim and you guys anyway... So it's like being with old friends. Can't wait for the trip to start." 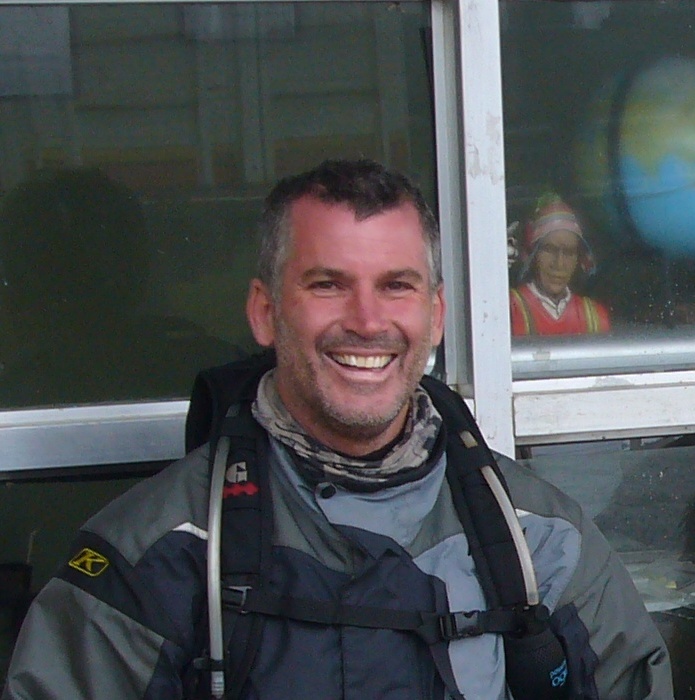 "I had a great time on the Bolivia trip, and I appreciated your efforts behind the scenes to make it all enjoyable and smooth"
"I ride all over the world with tour companies, guides and sometimes just with friends. With Britton Adventures I find all three in Mike and Angela. I make no secret that my favourite ride anywhere in the world, any time, is the New Zealand Safari run by Britton Adventures. No other ride captures the majesty of its host country and highlights the friendly, knowledgeable hospitality of the organisers like that one. When I show up in South America and Mike appears with a chocolate chip ice cream to say hi, or I’m emptying the water from my boots in some forgotten outpost in the pouring rain and Angela jumps up with a smile and a camera, I know no matter what challenges the ride throws at us, I’m in the best company, and with the best tour company, I could ever wish for. These guys rock. Their service to customers and friendship to riders all over the world should be an example to everyone, as should be the respect they show foreign people and cultures – especially Australians! Great people and a great company in every respect." "I have being on several of Mike and Angela's adventure tours both in New Zealand and overseas (Mongolia, Vietnam, Bolivia and Indochina)and would thoroughly recommend them to anyone. They put together a great value added package, a lot of thought goes into the route taken and sights that are visited. If something goes wrong, like the weather, they are masters at making changes to keep the tour on track. The personal touch of having them there on tour is great, they know the best places to eat, drink and visit." 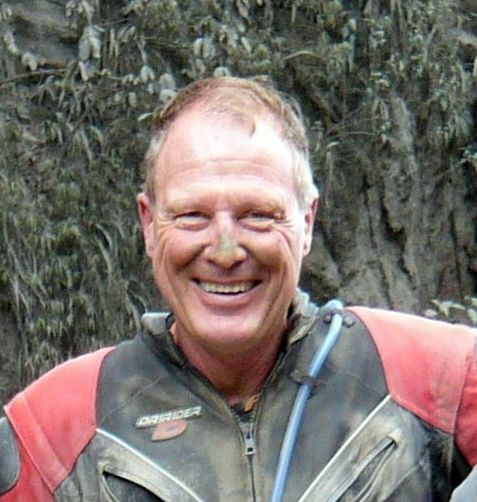 -Ian Bowden - A keen NZ adventure rider. "Bali by the back roads was a pleasant adventure, with a nice balance of holiday and challenge. The riding had some interesting challenges, eg, riding through rice paddy’s and unformed roads through the rainforest. The accommodation was superb, quite luxurious. The time-table was unhurried, allowing us to take in the spectacular views and amazing aromas. The food…. Well, let’s just say we had to shop for a size bigger when we returned home! The company was exemplary. Everything was taken care of, we had no concerns whatsoever. We thoroughly recommend it. 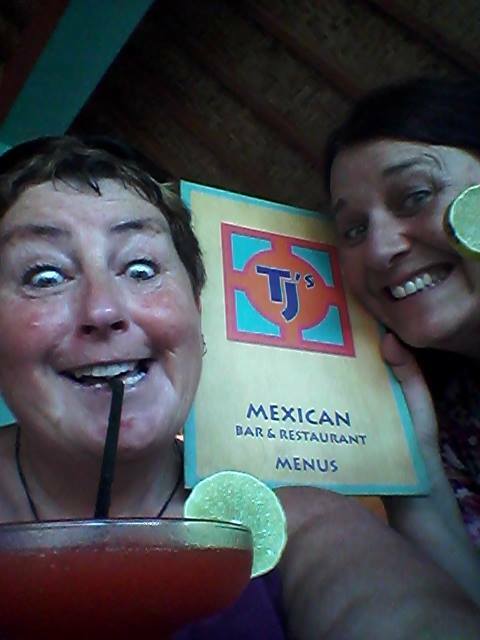 The highlight for us, apart from the strawberry margaritas, would have to be snorkelling! Absolutely breath-taking." "I would like to say how much we enjoyed our three week motorbike adventure in Vietnam with Britton Adventures in May 2014. It far exceeded our expectations. The trip had a great mix of riding and took us to many places that were well off the normal tourist trail. The spectacular mountain scenery and different cultures we observed were fantastic. The tour contained a great variety of riding, sightseeing and eating, with free time to keep us fresh and ready to enjoy the next experience. The whole trip was really well managed and organised, as far as timing, accommodation, food, sightseeing, etc and ran really smoothly. We also met and travelled with an amazing group of people on the tour, who we will keep in touch with. A special mention would have to go to our lead rider, interpreter and general fun guy, Hai whose personality really contributed to the success of the trip." "Just a quick email to thank you guys for a fantastic 4 days riding, this is without a doubt the best riding I have ever done. You have a great team of people and that Pesky he is a legend in his own right. Once again a very big THANK YOU and I look forward to joining guys again. CHEERS"
“Great ride....great group of guys....great food .... great accomodation......great weather.....great sights....great organisation......what else is there to say but thanks and cheers"